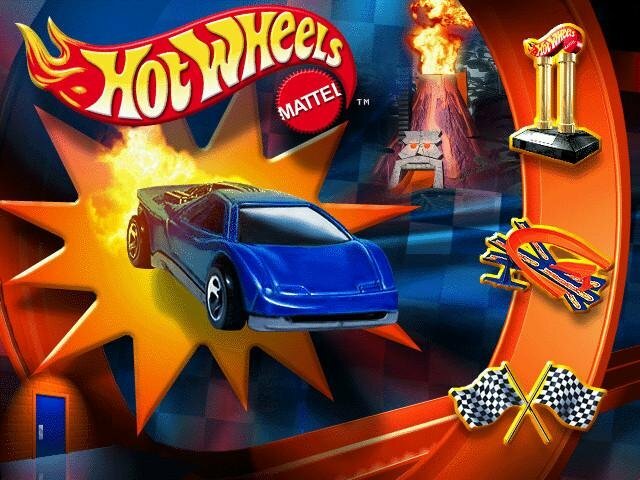 Mattel, one of the best known toy companies in the world, is decidedly late in the arena of computer gaming. 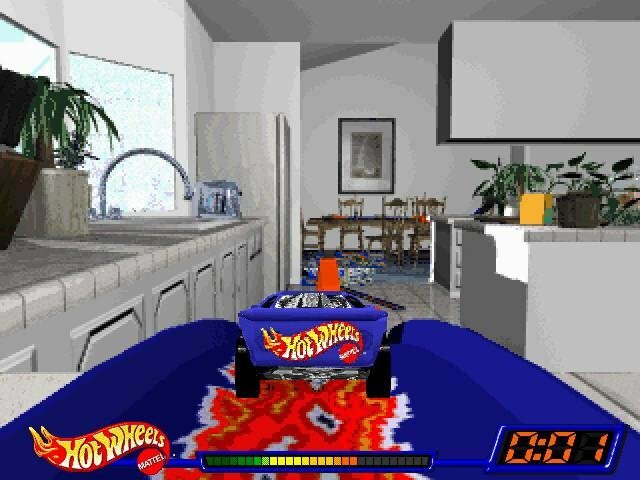 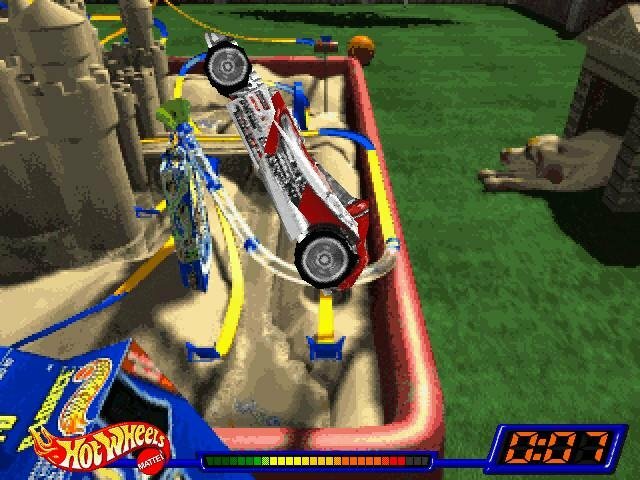 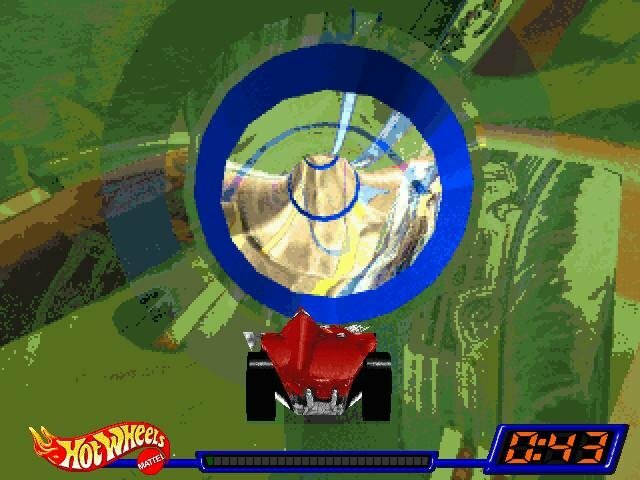 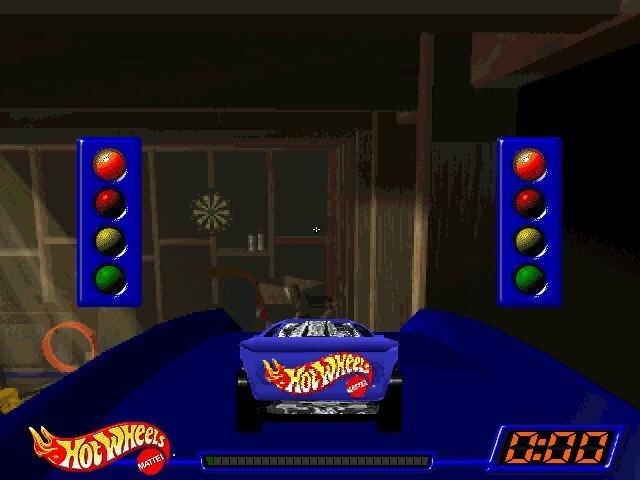 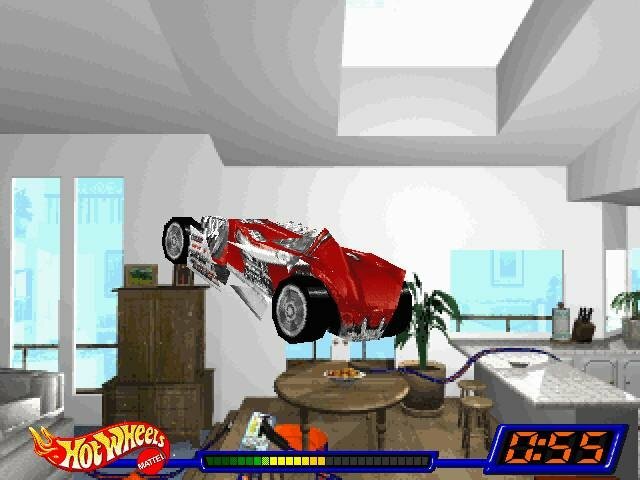 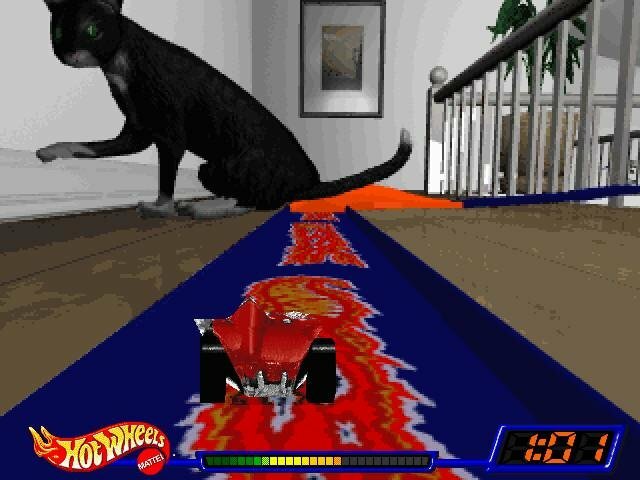 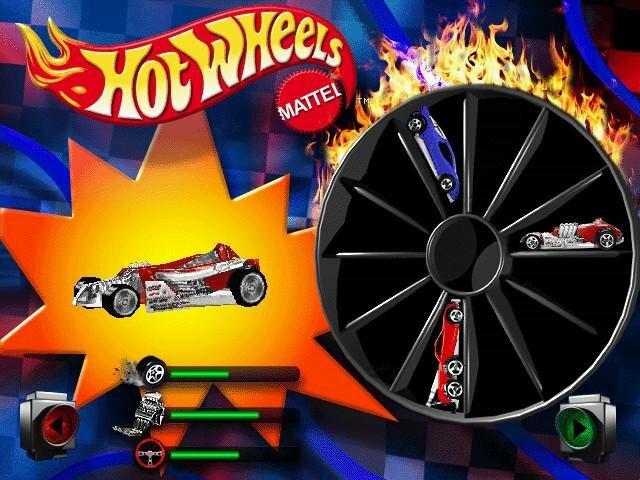 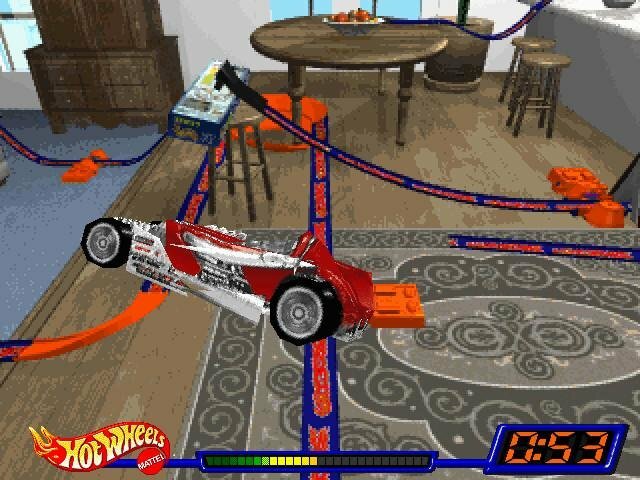 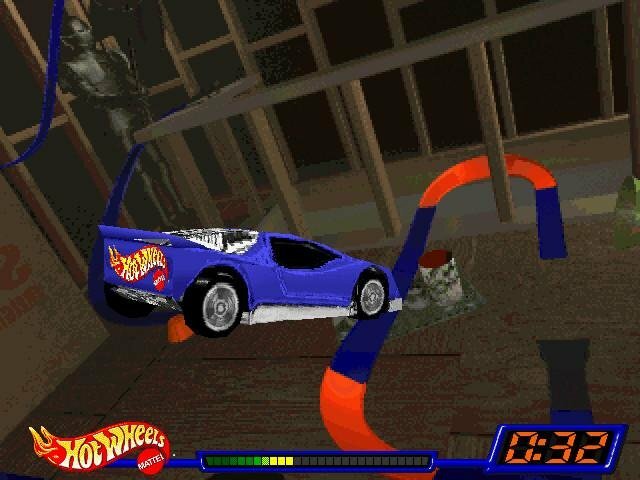 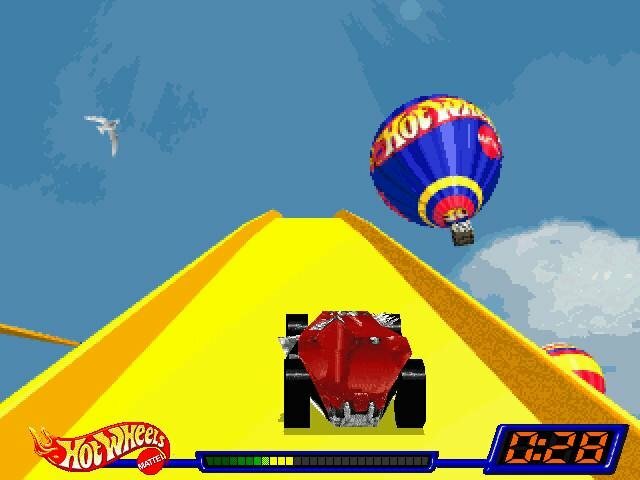 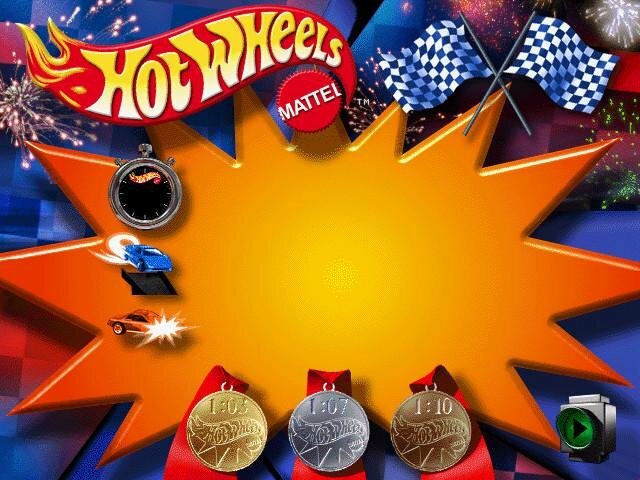 Being the first in a series of computer releases taking advantage of the Hot Wheels brand name, including Hot Wheels Custom Car Designer, Crash, and Micro Machines, Stunt Track Driver attempts to recreate on the screen the joy many of us experienced as kids racing shiny little Hot Wheels cars on living room floors. 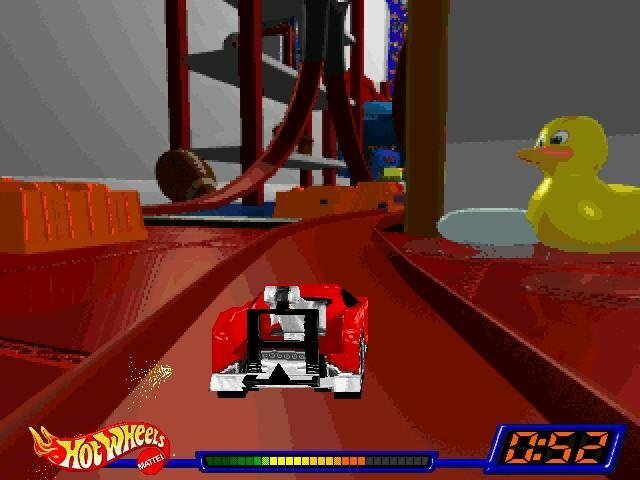 The game itself is a combination of a 3D racer and rail shooter, utilizing pre-rendered tracks to push the player along. 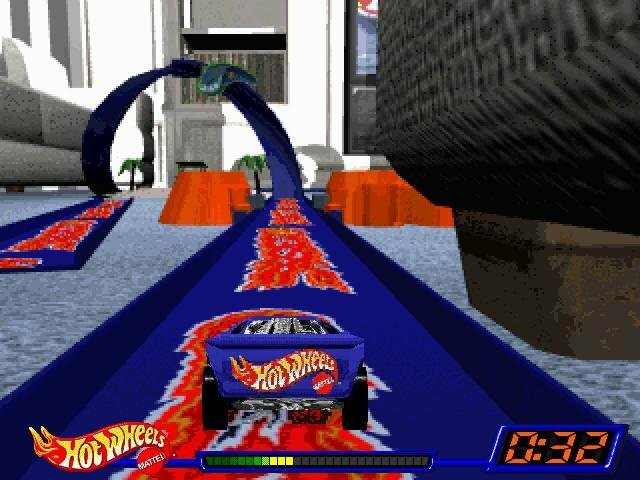 The added advantage of using faux 3D environments is how Mattel could generally add more detail to the tracks and still keep a consistent framerate on all machines. 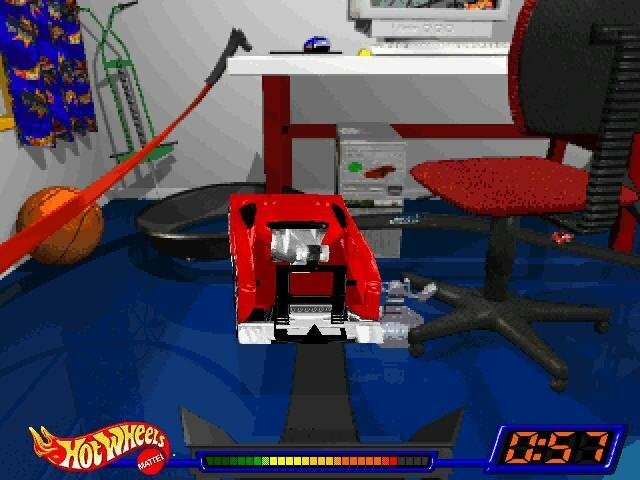 The bad part is that it doesn’t actually feel like driving a car. 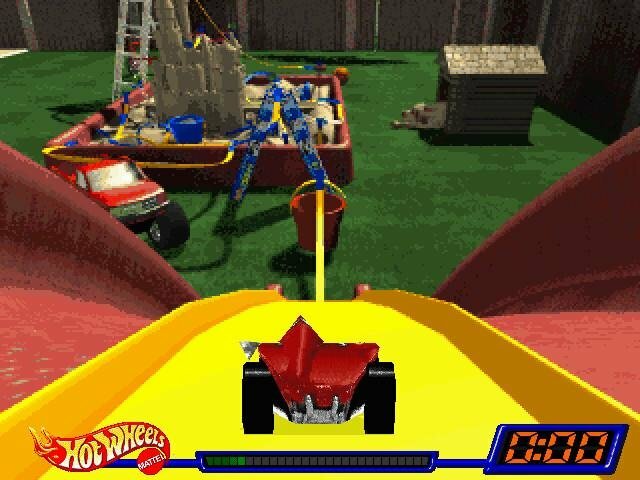 At its best moments it’s a roller coaster that you can slightly nudge to the left or right to keep the thing from falling off the tracks. 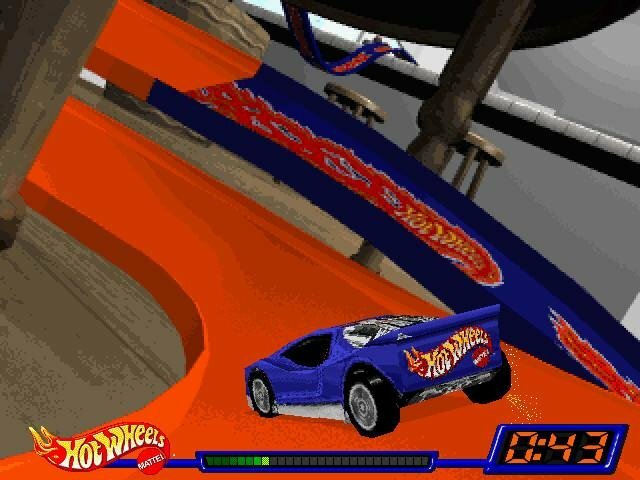 The highlight of the title is that you can perform various flips and jump stunts along the way, trying at the same time to achieve the best possible lap time. 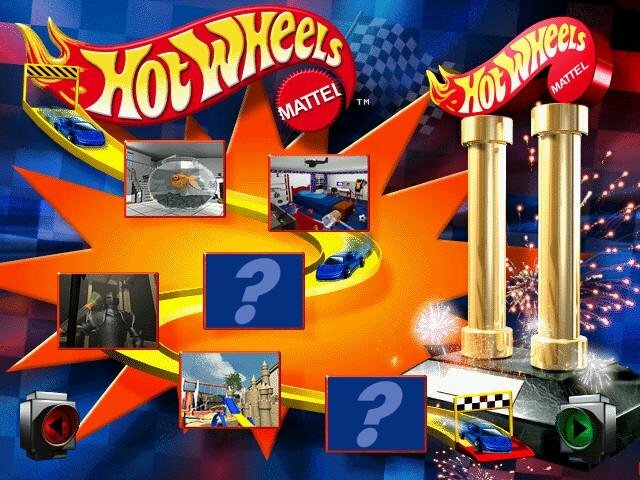 Six tracks are presented and twelve cars eventually unlocked, each with different stats to give off some semblance of variety. 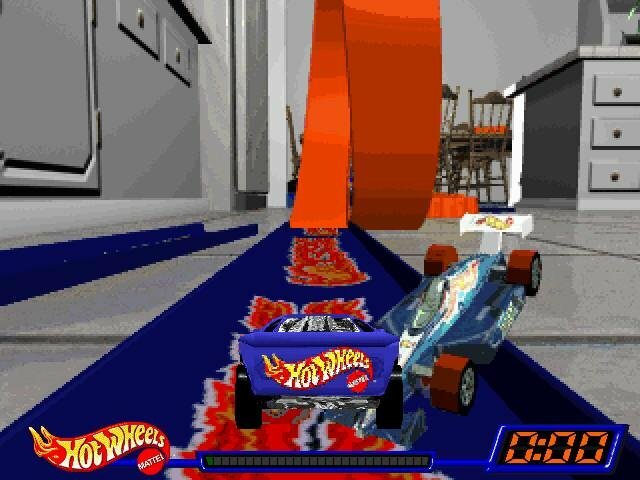 With no multiplayer, outdated graphics and limited appeal, Hot Wheels Stunt Track Driver comes off as a below average game. 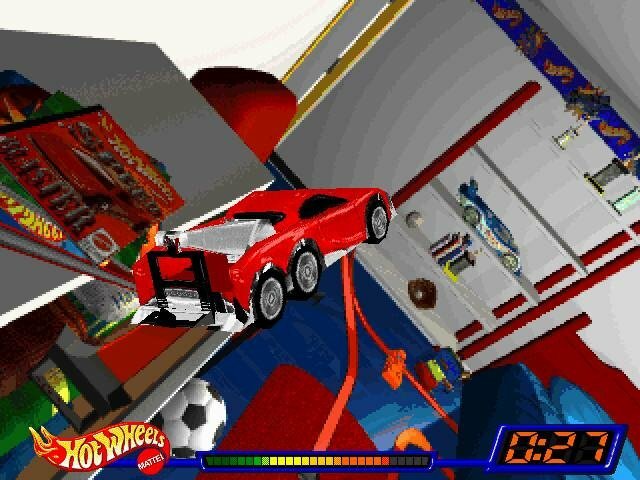 how can i run hot wheels stunt driver on windows 10?